The anti-inflammatory properties of tea extracts, especially that of green tea has been tested to reduce the duration of radiation-induced skin damage by up to 10 days in patients who received radiation treatment. 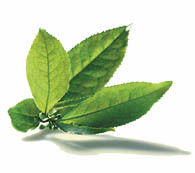 In a recent study published in the open access journal BMC Medicine, Frank Pajonk, from the University of California in Los Angeles, USA, and colleagues from the University of Freiburg, Germany also show that in human white blood cells in culture, green tea as having higher anti-inflammatory properties than black tea in reducing the release of pro-inflammatory cytokines, such as IL-1beta, IL-6, IL-8, TNFalpha and PGE2. However, in mouse white blood cells, both black tea and green tea inhibit one major inflammatory pathway. While on a trip to our factory, 200km away in Melaka (formerly known as Malacca), I was pleasantly surprised to hear and read that the local government is promoting Cat Whiskers Tea in this second smallest state of Malaysia. It was reported on 24th May in the Malaysian’s Chinese newspapers, Nanyang Siang Pau that Melaka Chief Minister, Datuk Seri Mohamed Ali Rustam had announced that the Melaka Government has classified Cat Whiskers Tea “猫须茶”as its official beverage and was given the name “MY Tea”. The daily has reported that this traditional herbal tea is good for health and beneficial for illness such as high blood pressure, diabetes, etc. It looks like the Malaysian government is serious about making this Cat Whiskers Herb another popular herb after Tongkat Ali. It can be drunk as normal Cat Whiskers tea or can be blended with other herbal ingredients used by products such as our Good Image Cat Whiskers Tea. Prior to the news, I had already heard that plantations has been created or converted to grow Cat Whiskers Herb (locally known as Misai Kuching).